Transformers 4 production is on the verge of starting back up in China. New images show various Transformer cars, including a maybe new one, showing up in the country to prep for around a month's worth of filming. The cars spotted in China are Bumblebee (2014 Camaro), Hound, Corvette Stingray, Bugatti, Pagani Huayra and a new red vehicle identified as a 2014 Ferrari 458 Italia Speciale (left pic). In Dark of the Moon, the Transformers called "Dino" (or Mirage) was also a 458 Italia but I would be surprised if that character returned considering his near non-existent part in the last film. Also the car looks too much like the Pagani (right pic) to a non-car aficionado like me and most movie goers. The range in vehicle colors is no accident as it is a design choice to make it so requires only a glance for viewers to know what character they are looking at regardless of the make and model of the alt mode. The addition breaks that formula so guessing it serves some other purpose than a TF alt mode. It is also possible the car arrived on the same ship (or plane) as the other vehicles but has nothing to do with TF4 production. According to an article on Xinhuanet.com, Age of Extinction will spend the last two weeks of October filming in multiple areas including Tsing Ma Bridge, Lyndhurst Terrace, Central, Bank of China Tower, Victoria Harbour , Hong Kong Convention and Exhibition Centre, Sham Shui Po, Kowloon and Legislative Council Square. There is a mention of some plot points but the Google translations mangles it so it reads "Mark Wahlberg finally say goodbye to her daughter TOUGH intestinal and Hornet commissioned to send their daughters to a safe location, a congregation will immediately robots Autobots battling the forces of evil." The suggestion is a big battle scene will be filmed around the Convention Center but not really sure. Michael Bay is supposed to arrive in the country soon to start the filming. Based on the variety of locations, the lack of the main cast, short time window and large volume of "China" being filmed in the United States, everything about this screams "2nd unit production." While there might be pyrotechnics going off here and there, I get the impression he is really there to give the China portion of filming more legitimacy as part of the "cooperation agreement" between China and Paramount Pictures. An agreement designed to give TF4 a favored release date next summer and help with promoting the movie in the country. Update: It looks like I was wrong about the cast not showing up as they have been spotted arriving to Hong Kong. So far only have confirmation of Nicola Peltz, Mark Wahlberg, and Sophia Myles. Since Myles has not been spotted without Stanley Tucci nearby. Jack Raynor is also in China as proven by image thanks to Mawii Y. If Dino is in this, then where is Sideswipe?! To be honest I prefer Sideswipe over Dino any day...hopefully Sideswipe is not killed off. Has anyone heard about a rumour about The Ark (Autobot ship in DOTM, where Sentinel was found) being in TF4 as well as the Autobots that were in it resurrected? Dudemus: correct me if I'm wrong, but the drones that were in the Ark and under the surface of the moon were the ones that invaded Earth. It could be possible that the Ark may play a part in this giving the fact that it was said that a portion of this movie will be in space. Although in my opinion, I don't believe the Ark has anything to do with it. Reason being?...I think it served its purpose in the DOTM already. As far as I know, the drones on The Ark were Autobots, not Decepticons, but they said that all the Autobots in The Ark are dead and that only Sentinal survived, bc he was in the chamber. The others could not survive outside the chamber. Dudemus:and also, remember many came from under the surface of the moon too, they weren't in a chamber. Sentinel locked himself in the chamber to protect the pillars. And it was a crash vault actually. Dudemus: I'm surprised at you Martinus@ you and l are usually on the same page, what happened?!...lmao!!!! You got something here Dudemus. I always thought that the other Autobots on The Ark simply had no idea of Sentinel's plan. Sentinel locked himself in the crash vault to protect the pillars AND himself, bc he was the only one who was able to activate the main pillar. Question is, how did the Decepticons that were under the surface of the moon, get on the moon and how were they buried under the surface? The official page of that Ferrari says only "458 Speciale", not "458 Italia Speciale". Dudemus: I personally do not believe that there should be much of an arguement as to who the italia is, it was said before that a large amount of Tf fans were upset 1:because his real name was changed to "Dino" 2: that he didn't get much screen time and 3: he didn't have a toy adaption. I think its, Mirage. Without a doubt. However, with Francesco Quinn being deceased, who did Mike B cast to do his voice over?...that is what I'm most curious about. I think voice over casting is barely started, bc that is something that is done in the last stages of production. But I also hope it's Mirage, but I doubt it. If it is a new 2014 model, then Ferrari has still all say in this and it probably will still be called Dino. Unless it's Bay's own Ferrari and he modified it and can give it another name. 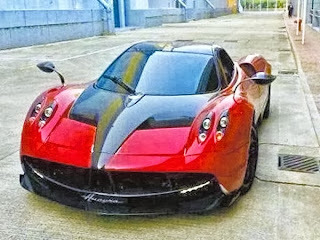 However TFLAMB do has a point with having it almost the same red color as the Pagani, that is not completely valid. Jazz was grey an so was Sideswipe, okay they weren't in together in the movie, but still. Almost all of the main Decepticons are grey. Dudemus: I'm not too sure about that one Martinus@...giving the fact that a portion of the dialogue was used in the filming. Also with the recording technology upgrades of today and the way they're using cgi production, you can now do the vocal dialogue and then put it together with the cgi lip movement by manipulating it to fit with the dialogue. Before you would have do your voice overs after and time with the Cgi animation. Not anymore. Dudemus: bio; I use to do music engineering awhile back. They use the same system trackboards. I worked a fully digital 48 track out in Mendem N.J. also did freelance Market@Promtion for a few well known Labels. I know the technology well. However, I have no real idea on how Mike B would want to record the voiceovers, it's purely by choice. He may want to use the conventional way. The other way may sound too, generic. But seeing that he's changing and using better technology for this movie including the film and cameras itself, he may feel the need to use the new recording methods availible to him as well. You could be right Dudemus, but I haven't heard that recording on set, bc I was to late. Since it was pulled by Paramount very quickly, it almost has to be legit. Therefor they could be doing voice-over in earlier stages, than before. Dudemus: I really believe that he would use this method for a few reasons1: now the actors can do they're parts without it being silent when the robot characters are suppose to be speaking 2: its also less expensive. How it take less time in the studio to record voice overs. Studio work is costly. And being that the budget for this movie isn't as much as his earlier adaptions he would more than likely not want to exceed the cash flow...I think its logical. Which leads me to perhaps believe that the voiceovers could possibly be done already. If again he choose the new way of recording. Still he may think it sounds too generic for his taste. But having to time your voals with what you see on film is time consuming, and the more time that you spend in the studio the more its going to cost you. They charge hourly rates and with all these characters it wouldn't be wise to do it anyother way. Now the actors can interact with the pre-recorded dialogue on set makes for less filming time as well. Cost efficient. Just look at how fast he's moving from one location to the next and how quickly he's running through filming. Well, Dudemus, you can bet all the voice-over work is still done in the studio, not on set. Bc you need a studio to channel out the outside noises, wich you would have had if you record on set. A little wind already causes a problem. That just does not work for voice-over work. So it will still be done in a studio, voice-over work is also not done (right) in one time, they have to be directed to be perfect. And we haven't heard any voice-over work on the Chinese set in Detroit. Maybe they did some voice-over work in advance or something. So that is 7 of the 8 Autobots left that are set to appear in Transformers 4: Optimus, Bee, Ratchet, Mirage, and the Wreckers. Anyone else think the green Corvette may indeed be Sideswipe in disguise? Yes, I did, since day 1! Makes sense to me. He's a popular character. I couldn't imagine the franchise w/o him. A new color scheme for him would be sweet! Dudemus: lt could be Sideswipe, but for some reason I don't believe it is. Just can't put a finger on the reasons as to why right now, but I don't believe its Sideswipe. Think about it. Bay said he was going to "redesign" all the transformers characters. 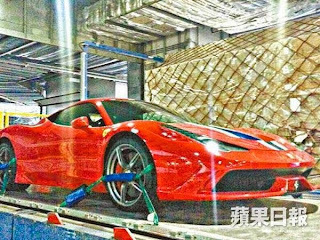 Already we have Bee in his usual Chevrolet Camaro design, Leadfoot was spotted and now Dino's "new" alt mode is seen in Hong Kong with same alt mode and maybe all with just a minor paint jobs. I mean it is highly possible that the green C7 Corvette is Sideswipe, after all he is race inspired! Plus, the only "redesigned" character we have only seen is Optimus, (the toy). Maybe what Bay really meant by "redesign" is the robot form of the characters, but not the alt mode and add just minor details to their paint job like the previous films. Also, Bay can not just kill off Sideswipe and Dino off because both the leader of the Decepticons and second in command are dead, so obviously there no orders for the Decepticons to carry out. Therefore if they are killed off in TF4, Bay must have a good explanation why they are dead and should be stated in the movie. What I am trying to get at is in ROTF, it was stated Mudflap and Skids were apparently killed in one of the Decepticon incursions before hand. That's the problem Ironhide44. I do agree with you, but Bay does not have to explain where other bots have gone, just like in the G1 cartoons, it sadly is part of the TF movie lore as well. We did not get an explanation where The Twins went, nor where Jolt in DOTM, nor where Barricade in ROTF went. The Twins were even in DOTM, when they drove in the base, we saw them driving in the back. If Sideswipe and Dino are not in the movie, there is a chance we don't get an explanation from Bay where they went. I'm afraid we have to accept that. They did say they want to go a little back to basics, like the 1st movie. That's a good thing and I think that means we won't get to much new characters, just a few. A small groupof Autobots and a small group of Decepticons again. And (I hope) that they will be more menacing and harder to kill again, just like in the 1st movie. It was almost impossible to kill the Decepticons in the 1st movie. While I do think Bee is redesigned, bc it's a concept Camaro, I think they should've went with the Challenger instead of the Camaro. And with less yellow, more black. Dudemus: I agree, Martinus@ except for the challenger idea. And I'm pretty back and forth on the C7. But like I said it could be possible, we've seen all the color changes on Ratchet throughout the 1st series. But I'm sceptical about this one. I'm the one that originally posted the question about the Corvette on 10/15. I honestly have no idea if he is or not. I just want Sideswipe back. I always assumed that Barricade was left in America in the battle of Egypt with either no way to get to Egypt or the Cons not wanting him to get killed in Egypt, saving him for a future attack, if that makes any sense. As for Sideswipe, he can just return in robot form and have the new Corvette be a new robot. Barricade returned and was just in robot mode. Also, there is nothing stopping Jolt from being in the film. Barricade skipped one film, then was put into DOTM in a decent-sized role. There are no hints of him on set, yet there were no hints on Barricade as well. With all of these new Autobots, does anyone think that any of the old Cons will return? Dudemus:like who, for instance?...most of the old Decepticons were killed off. And many were destroyed during what they call "Optimus Rage". Including Shockwave. From what I remember Shockwave just got body punched & had his eye pulled out, I don't think he died, or see how that killed him. Dudemus: well lets see how well you would hold up having your whole leftside blown out and someone ramming their fist inside of your face and then pull your eyes out...As we seen in the very first movie, they do a clean up job after these battles. I would think that they also make certain that they are all dead. Have yet to see any decepticon prisoners...he's dead, dude. Until he reappears in the other movies there hasn't been any hint to believe otherwise. I'm the one that asked about any returning Cons. I believe that Shockwave really is dead. However, I do not think that it would be too much a stretch for Bay to say that he lived if they really wanted to. I just think that they left him dead. Megatron with all of the hints going around. And Starscream's Ghost? Where did you see anything about Starscream's Ghost? I didn't see anything about Starscream's Ghost. It's just if Bay uses G1 episodes, that is one idea that he can use to bring back an old character. Sorry for the confusion! However, there are several rumors on Megatron returning. Dudemus:Megatron I believe will return, but not in this movie and not as Megatron. I think he will return as Galvatron in perhaps the 5th installment. I believe his head carries the possibility and I think his head is what's going to bring Cyclonus to Earth. The scientist they are talking about is going to retrieve the Cybertronian technology from his head and by doing so I think they will unknowingly set off a beacon. That's my theory. Megatron's head has been seen on set a few times during filming. What other significants can you think that means. I mean what purpose will it serve in this movie? They can now get what they want because his head is openend and not covered by the armor...think about it. But I for one believe Shockwave is with the Allspark. The government, blaming the Autobots for Chicago, shuts down NEST. The Autobots are forced to scatter and hide, with Bee and OP taking on their old, cruddy forms. Megatron, alive as a head like his Animated counterpart, allies with Attinger and the KSI agents. He tells them to get other Cons like Lockdown and/or the Rally Fighters to hunt down the Autobots and find some relic related to Unicron. These Cons will probably kill Mirage/Dino, Ratchet, Leadfoot, Roadbuster, and Topspin, as all were seen on set. The main humans will probably find this Unicron relic first, and that is how Jack's race car comes to life to be their guardian. The Cons then try to kill the humans for this relic (think Rally Car-Sonic chase scene). This causes OP, Bee, and the new Autobots to come out of hiding to help the humans. My theory is that the relic is a signal to Unicron to come to Earth. I think that Megatron manipulates events at the beginning of the movie, as he slowly regenerates himself, or he thinks Unicron will help him. Unicron, to prepare Earth for his arrival, will send a new army of Cons lead by Galvatron, Cyclonus, and Scourge, who are the main villains of the new film. To stop them, the Bots need to find Vector Prime, an ancient guardian of Primus, who can only be accessed by using the Blade of Time, each guarded by the Dinobots. Or the old rumor where Optimus is captured by Lockdown and brings them back online. Idk. Megatron must be back. He's the one only true archenemy of Optimus Prime. Indeed. But Galvatron has been against Optimus only in G1 season 4, RiD and the Unicron Trilogy. How many of us thinks that it works on these films too. Dudemus: it can work, sounds must more realistic than Megatron regenerating himselve. If that were the case he should have been able to do that before. Then he wouldntve had to run around with half a head in the DOTM movie. Think about that. Dudemus:make no mistake about that hasbro insist that Mike B stays within the realms. He can do his thing, but he has limitations. Hasbro has the final say. We know how MikeB put his twist into his version of the Generation, he can put a twist in it. Dudemus: for instance, where did the Allspark come from?...it came from a book. Bay adapted his movie from a book...as Transformer true fans would know. They were created by the Quintessessens and used as slaves. Not from the Allspark. Did you know that? Maybe they can use questions like "Where the AllSpark came from to introduce Primus, the brother and one true threat to Unicron?" Like I said, this is just a theory. Also, in the comics Galvatron and Megatron are not the same being. Do you think Hasbro would let Bay do that? I really am just throwing out ideas here. Isn't dino less likely to die because he's a representation of mirage and the G1 series Mirage could turn invisible so that also means dino can do that so that also means dino can sneak his way out and into battle without being scene? And dino and sideswip both are one of the coolest double bladed autobots their robot forms are incredible I just can't believe Michael Bay would want to kill them off they are DOTM survivors and along with the Wreckers.The Wreckers better not be killed off their amazing and their altmodes are made exclusively for the film, and ratchet has survived throughout the film's and he's the medical officer so they can't kill of ratchet too they need to keep all the autobots that survived in DOTM their important characters even wheelie and brains they just can't be killing as much survivors as they want they all need to hangout with one another like in the G1 series. Soundwave back as Soundblaster anyone? Dudemus: soundblaster is soundblaster, soundwave is soundwave. Thats saying "how about Optimus coming back as Ultra Magnus" no, dude. You must be a newbie to the Tfgenerations. In Japan, Soundwave was killed and brought back as Soundblaster in the Headmasters cartoon. I don't believe we even know the Ferrari's allegiance yet. If he is a Bot, he's more than likely Dino/Mirage. If he's a Con, he could be Knockout. I have a feeling that Sideswipe is the green Corvette. I just can't see Bay reassigning a car model to another Bot, when it's already recognized as a specific popular character. I also believe the movie trilogy is heading towards a Primus and Unicron showdown. That would mean the introduction of Galvatron, the Dinobots, Hot Rod and a few others. It would be more logical that Ferrari is a Bot and Pagani a Con. After the way Ferrari treated the movies (making Mirage into Dino, etc. ), I doubt Bay would get another Ferrari except for character continuity. I think that this Ferrari is Dino/Mirage. It's sad that that's the way Ferrari works. If you buy a Ferrarri, I think you are obligated to go to an official Ferrari dealership, for your first oil change/tune up. And when the Enzo came out, the only way you could buy one was, if you already bought and own a Ferrari. Otherwise you can't buy a new Enzo. Sideswipe and dino are in fact being killed off the film I just hope Michael Bay shows how they die and not just make them disappear like skids,mudflap,chromia, and jolt so we the can see their officially dead. The Corvette has been 'rumored' to be a few different Bots: Slingshot, Crosshairs, Sideswipe, Sunstreaker, Tracks. I still think he's probably Sideswipe though. Imagine the five main Autobots being: OP, Bee, Drift (Con turned Bot), Sideswipe (Corvette), and Hound (the old man type). That would be an interesting team! On a side note, I just received my Takara MP-17 Prowl. I didn't realize he'd be smaller than my Binaltechs. He's cool looking tho. Who should I get next: Bluestreak, Knockout or Red Alert?